One great city (to write about). It was Winnipeg’s slogan, “Heart of the Continent”, that made me want to use the city as the centre of a return to a world of magic. When I started writing Thunder Road it was going to be set in Winnipeg (and Manitoba) largely because I live here, so it cut down on my costs for a book I had no idea if someone would want to publish, but that I desperately wanted to write. But I do love my home, and I think it makes an interesting setting. While it may not quite have the concentration of Icelandic or viking stuff that the town of Gimli does, it’s still here. Laxdal road, and Valhalla apartments (Edmonton has them too, more on that later) among them. When your book deals with the goddess of the dead coming to town, it’s natural to think of every building that is supposed to be haunted, and pretty much every old building downtown Winnipeg is rumoured to be haunted. So that’s where I got a lot of my set pieces for Tombstone Blues. 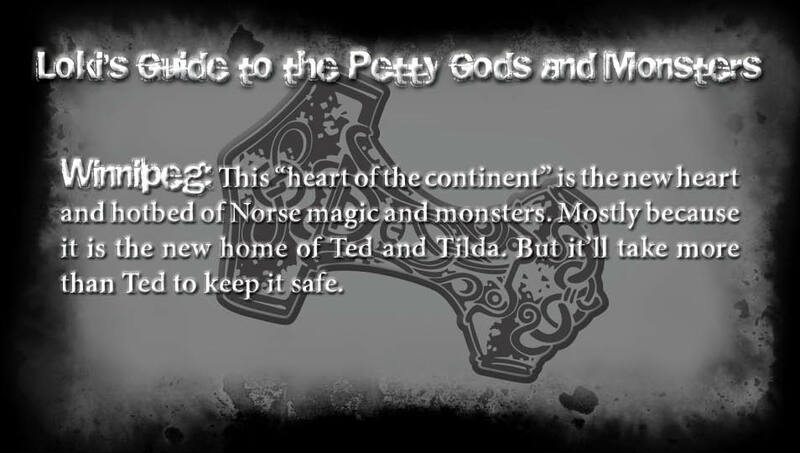 But there are also a few that have mythological significance. The “secrets” of the Knights Templar were big news at the time of writing Thunder Road and Tombstone Blues, as well as their potential connection to the Freemasons. 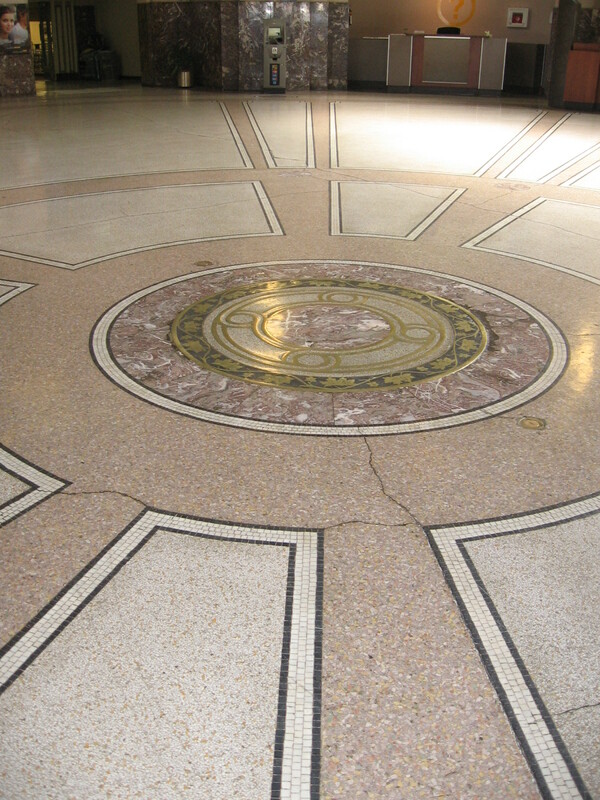 The Manitoba Legislature is full of Masonic symbols, but there are lots of Greek, Roman and Egyptian references too. Winnipeg’s iconic symbol of The Golden Boy was modeled after a sculpture of the god Mercury. I read up on a bunch of locales that I wasn’t familiar with, and then as the story found its shape I settled on using the ones that resonated most with me. The old Masonic Temple (which I remember best as a Mother Tucker’s restaurant, but it’s been a bunch of other things since. It’s also currently vacant, which allowed me to remake it exactly as I wanted) that became the nightclub, Spectres, The Hotel Fort Garry, the Manitoba Legislature and Union Station. When I was writing in Winnipeg, I tried to choose neighbourhoods that had strong character attached to them, that I felt would come through on the page even for folks who don’t live here. Every city has its own version of Osborne Village, where night clubs, and restaurants, and tattoo shops all meet. Wolseley and its towering elms, old houses, and granola crunch was chosen because of how much it would irritate Ted to live there, as much as the beauty of neighbourhood. And the city mostly survived Ted’s tenure as guardian. This entry was posted in Uncategorized and tagged Loki's Guide to Norse Mythology, Tombstone Blues, Winnipeg by chadwickginther. Bookmark the permalink. Another good one for NaNoWriMo Prep. Chadwick talks about setting, especially in a city one may already live in. I admit setting is a week point, and thinking about where your characters live makes your story breathe for the reader. This is a well-written post and one that resonated with me because I am also working on a story set in the rural county in southwestern Missouri where I live. Your writing style is engaging and interesting. Thank you! Best wishes to you with your writing.